Yesterday, ESPN published a profile of Bell which basically portrays him as the second coming of Black and Gold legend Hines Ward. Like Hines before him, rather than react angrily to perceived slights, Bell actually uses them as motivation. And, if the article is to be believed, poor Le’Veon has been kicked around throughout his life. Don’t get me wrong, I love Hines but his never-ending mantra of “Nobody Ever Gave Me A Chance!” wore thin after awhile. Perhaps Hines wasn’t the most athletically gifted wide receiver but he wasn’t some undrafted kid out of BumbleF*ck State, either. Sure it must’ve been disappointing to be bypassed in the first round but there’s no shame in being a third round pick. He made four Pro Bowls, set all kind of team records and was paid very handsomely for his services. I’m sure in future years the narrative will expand to include the past year. He was a highly touted back but slipped to the second round. There was some injury issues early in training camp leading people to question his durability. Nobody gave Le’Veon a chance! Look, I’m all for guys motivating themselves by whatever means necessary. Goodness knows the Steelers coaches don’t provide much motivation and the team is overflowing with arrogant asshats who think they’re stars just because they wear the Black and Gold. 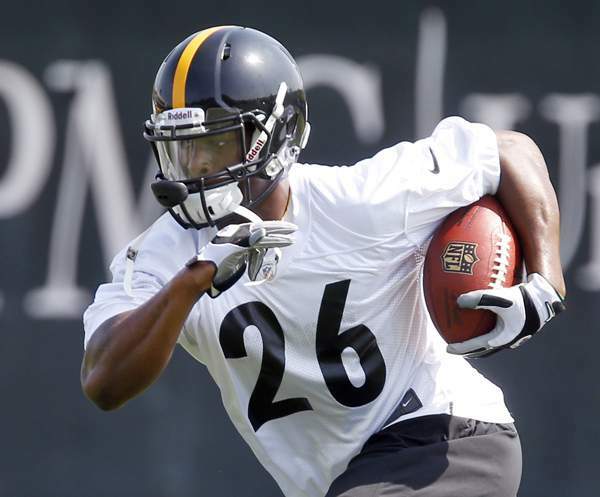 If thinking the world is out to get him fuels Bell to be the best he can be, good for him. But we already lived through it once and I have no desire to see that movie again.